Crisp mornings, hot apple cider, homemade cinnamon rolls, and rows of crafts, art, and vintage finds is pure Kansas Fall. For those in need of a wheelchair, scooter, or walker, we’ve put together a list of local fairs and festivals with accessible walking paths, parking lots, and other accommodations. What started as an agricultural fair in the late 1800s has grown to be one of the largest attractions in Kansas. In addition to live entertainment, animal displays, midway rides, and festival food, the state fair includes daily access to multiple air conditioned buildings featuring arts, crafts, and locally-sourced goods. Get in FREE on Monday, September 10th by showing your Dillons card. ACCESSIBILITY: Visitors with disabilities have three parking areas available each day of the fair. Two are located on the east side of the Fairgrounds in Public Parking Lot C. The other is on the north side of the Fairgrounds off State Fair Road. Parking Lot C has a shuttle service with wheelchair accommodation available each day. Wheelchair and scooter rental also available at the fair. You can find more information on the State Fair Accessibility Guide page. Celebrating its 30th year, artists will showcase and sell original handmade artwork including jewelry, pottery, paintings, drawings/prints, basket weaving, rug weaving, sculptures and more. ACCESSIBILITY: A representative of the Indian Art Market noted that the event is outdoors in the grass, so powering a manual wheelchair in these conditions could prove tough. FREE admission and parking. Located in downtown Hillsboro on Main street, over 300 juried vendors will have items on display. This fair is one day only and runs 9:00 am to 4:00 pm. “This is our 49th year,” said director Brenda Walls, “we jury hard to select the best vendors in a wide variety of mediums.” Vendors will come from Iowa, Colorado, Oklahoma, Kansas, and Nebraska. Booths will line six to seven blocks on Main Street. ACCESSIBILITY: Three designated handicapped parking areas within close proximity to the fair. This is the 11th year for this FREE tasty event. Enjoy fresh homemade cinnamon rolls, lentil soup, and meat pies – plus unique craft vendors. ACCESSIBILITY: Wheelchair access on north side of church. Wide aisles for browsing. One of Kansas’ most popular craft/vintage fairs will be located at Lakeside Park in McPherson, Kansas. Over 130 juried vendors will be on hand from 9:00 am – 4:00 pm. One day only. ACCESSIBILITY: Designated wheelchair parking. Handicap accessible porta-potty units. Lakeside Park is suitable for wheelchair, scooter, or walker. Neewollah (Halloween backwards) is the largest event in southeast Kansas. Celebrating its 99th year, the event features parades, live entertainment, and an arts & crafts fair located in downtown Independence (8:00 am to 6:00 pm). ACCESSIBILITY: Several handicapped parking spaces located in various locations downtown for easy access to the fair. 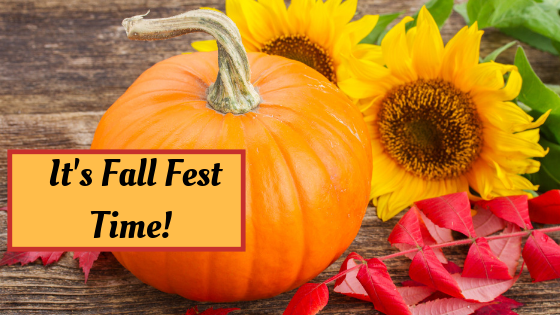 As you attend the many fall festivals Kansas has to offer, we’d love to see your adventures and treasures. Take a photo and post it on our Kansas Truck Mobility Facebook page.